With its profound history, vibrant culture, indigenous beliefs, stunning beaches, protected wildlife and curious marketplaces, Benin is one of West Africa’s best-kept secrets. Its Portuguese and French heritage is owed to its colonial influences. Populated by over 10 million people, Benin is an unchartered tourist territory. Popular attractions include the Royal Palace in Cotonou and Pendjari National Park. 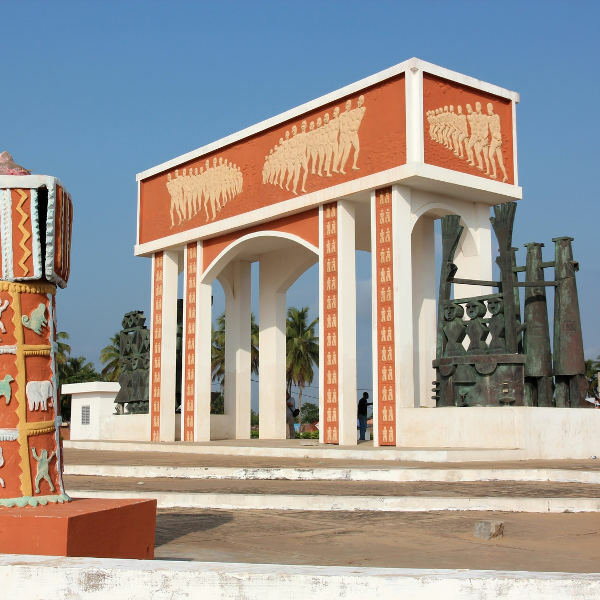 Uncover West African history and soak up its vibrant culture because cheap flights to Benin are now available! Benin’s hub airport is Cotonou Cadjehoun Airport (COO), which is a 10-minute drive from the centre of the capital. COO serves a multitude of airlines, including South African Airways, Ethiopian Airlines and RwandAir Express. Popular connecting flights depart from Johannesburg, Cape Town and Durban. The flight duration from Johannesburg to Cotonou is approximately 7 hours and 30 minutes. From a powerful Dahomey Kingdom propelled by commercial slave trade in the 1800s, Benin’s struggle for independence and democracy is documented throughout its museums, memorials and ruins, while native tribes still dominate the north. The coastal towns are fringed by the teal Atlantic Ocean, lapping against the golden shoreline. Soak up the warm African sun under the breezy palm trees, enjoy a game of beach volleyball, or saddle up and horse ride along the gorgeous stretches of beach. The dusty roads are filled with smiling faces. Peruse the bustling markets for unique handicrafts before ducking into a local pub to try the palm wine and local beer - La Béninoise. The locals are passionate about jazz, French cinema and dancing! 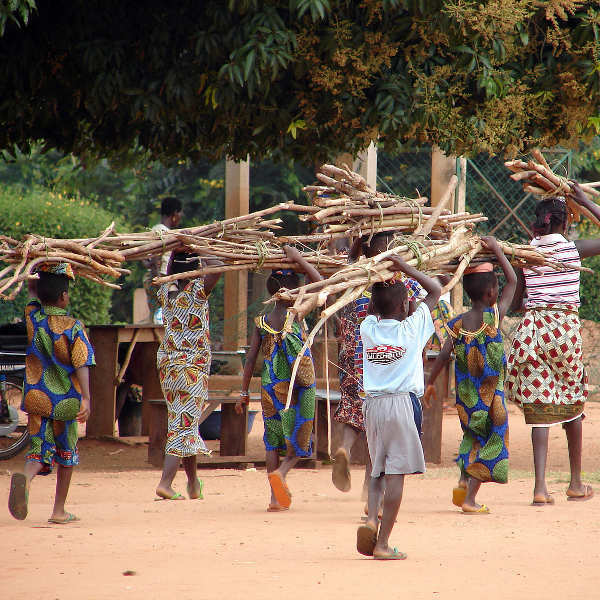 The southern region of Benin experiences a somewhat tropical climate, with a long, dry season occurring between November and March and another dry gap in August. The majority of the rains fall between April and June, with another short spurt in September/ October. In the north, the rainy season occurs between May and September; while the dry summer months of November to March see temperatures peaking at around 40°C. The ideal time to experience the southern beaches at their best and prime game-viewing in the national parks up north is between December and March. Between June and October, it is uncomfortably humid, though you may be able to score discounts on airfare and accommodation. Home to intriguing architecture, voodoo practice, a 200-year-long history of slave trade, and palm-fringed golden beaches – Benin is an unspoilt destination for the most intrepid traveller. Experience the slow-paced lifestyle of the country in the Portuguese-influenced capital city, Porto-Novo. Home to crumbling facades and architecture of French colonial rule, key attractions of this city include the Royal Palace, Musée da Silva and Musée Ethnographique de Porto Novo. The bustling economic and political hub of Benin is found in its largest city, Cotonou. This crowded port city is a combination of urban energy and African charm, which is evident in its eclectic cultures of French, Islamist and animist. When you’re not gawking at the outlandish voodoo pieces strewn throughout the Dantokpa Market, grab a local beer at the buvettes (local pubs) or sunbathe on the golden beaches. Lake Nokoue is especially popular for birdwatching. The Artisanal Centre is a great place to purchase unique souvenirs. 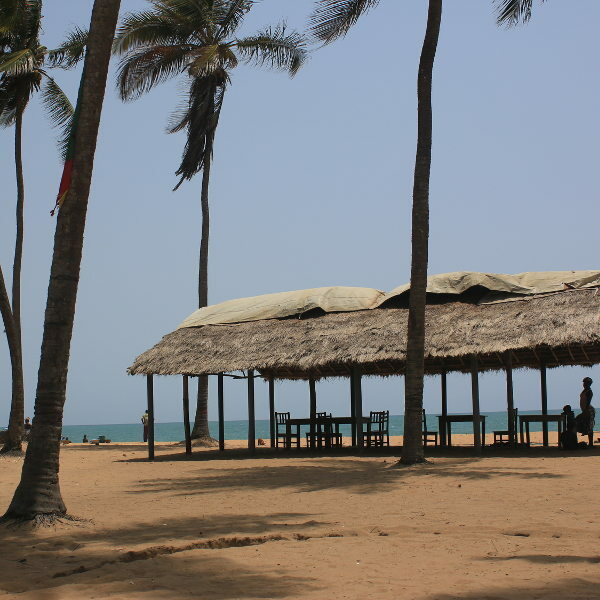 Forty kilometres west of Cotonou lies the historical town of Ouidah. Steeped in African history, this was the centre of the Atlantic slave trade between the 17th and 19th centuries. Trace the Slave Route, lined with monuments leading up to the Door of No Return, a tribute to those who were kidnapped and sold. Sandwiched between the border of Togo and the Atlantic coastline, Grand Popo offers a relaxing breakaway in the form of beach resorts, mangrove swamps and exotic birdlife. Further north, you can explore the temple ruins and bas-reliefs of the Abomey Royal Palaces, a UNESCO World Heritage Site of the former capital of the Dahomey Empire. History-lovers should visit the World Heritage Site of Koutammakou, where the mud and clay tower-houses reflect the social and physical landscapes of the native Somba and Batammariba people. Benin’s northern region is home to lush, green highlands where you can enjoy the best wildlife viewing at Pendjari National Park. Compare several airlines, and book your cheap flights to Benin online at Travelstart! South Africans do not require a visa for a stay of up to 90 days. Ensure your passport is valid for at least six months from date of departure. Leave at least two pages blank for entry stamps. For more information regarding necessary documentation for visa application, contact the Embassy of Benin in Pretoria. The South African Embassy in Benin is located in Cotonou. All travellers to Benin are required to have proof of yellow fever vaccination. Other recommended shots are for hepatitis A & B, typhoid and meningococcal meningitis, along with making sure you’re up-to-date with routine vaccines. Anti-malaria medication is a must, as well as a strong insect repellent. Tap water in Benin is unsafe, so stick to bottled water. Benin’s medical care is of a questionable standard and you’d be wise to pack a small medi-kit with basic supplies. In terms of personal safety, the major cities of Cotonou and Porto-Novo enjoy low crime rates, with the exception of pick-pocketing and bag-snatching in busy areas. Avoid flashing jewellery and valuables when roaming the streets; leave passports and extra money in your hotel safe. While walking around is perfectly safe by day, avoid walking around at night – rather take a taxi. If you’re spending time at the beach, beware of strong currents. You may want to avoid swimming at the beach altogether, and stick to your hotel swimming pool or the lagoon.